Noahpinion: Nuclear will die. Solar will live. Nuclear will die. Solar will live. In a recent article, I suggested that batteries might replace oil for many of our transportation needs within two decades. Batteries store energy, and we need a way to produce that energy in the form of electricity. Currently we produce most of our electricity from natural gas and coal. And while our use of natural gas and coal doesn’t feed the coffers of unsavory regimes like Russia and Saudi Arabia the way our use of oil does, it’s still the case that these energy sources are limited. They run out. What will replace them? The leading candidate is solar power. Cost is dropping like a rock, including “balance of system” costs that include things like installation and land. For an update on the status of solar power, see this excellent article from The Economist. Of course, improvements in battery storage are very helpful for solar, since you need to store some energy for nighttime. But there is still a strong contingent out there who is dead-set against the solar revolution – not because they want to keep using fossil fuels, but because they are convinced that only nuclear power can solve our energy crunch. One example of this faction is the Breakthrough Institute, which regularly releases articles comparing nuclear and solar, invariably supporting the former over the latter. Of course, solar costs continue to perform much, much better than they predict, but they continue to insist that nuclear – and only nuclear – must be the energy source of the future. I’m always a bit puzzled by the anti-solar antipathy of the pro-nuclear crowd. Energy is energy, after all. Perhaps nuclear looks muscular and futuristic – an emblem of national greatness – while solar looks like wimpy hippie stuff. But regardless of people’s feelings, the fact is that conventional nuclear power – by which I mean uranium fission, the kind of thing Mr. Burns produces on The Simpsons – is on the way out. This is not a cry of triumph on my part, but a lament. Nuclear power is cool. It’s just not the future. For the most convincing evidence that uranium fission is on the way out, I again point you to The Economist. Their 2012 special report, called “The Dream That Failed,” shows how nuclear usage is flat, and expected to decline in rich countries. There are three basic reasons conventional nuclear is dead: cost, safety risk, and obsolescence risk. These factors all interact. First, cost. Unlike solar, which can be installed in small or large batches, a nuclear plant requires an absolutely huge investment. A single nuclear plant can cost on the order of $10 billion U.S. That is a big chunk of change to plunk down on one plant. Only very large companies, like General Electric or Hitachi, can afford to make that kind of investment, and it often relies on huge loans from governments or from giant megabanks. Where solar is being installed by nimble, gritty entrepreneurs, nuclear is still forced to follow the gigantic corporatist model of the 1950s. Second, safety risk. In 1945, the U.S. military used nuclear weapons to destroy Hiroshima and Nagasaki, but a decade later, these were thriving, bustling cities again. Contrast that with Fukushima, site of the 2011 Japanese nuclear meltdown, where whole towns are still abandoned. Or look at Chernobyl, almost three decades after its meltdown. It will be many decades before anyone lives in those places again. Nuclear accidents are very rare, but they are also very catastrophic – if one happens, you lose an entire geographical region to human habitation. Finally, there is the risk of obsolescence. Uranium fission is a mature technology – its costs are not going to change much in the future. Alternatives, like solar, are young technologies – the continued staggering drops in the cost of solar prove it. So if you plunk down $10 billion to build a nuclear plant, thinking that solar is too expensive to compete, the situation can easily reverse in a couple of years, before you’ve recouped your massive fixed costs. If you want to see these forces at work on the largest possible scale, look at the example of Japan. Japan was a leader in solar when the technology first emerged, but the government bet big on nuclear. Now, with nuclear power suddenly…um…radioactive following Fukushima, Japan is struggling to catch up in solar. Meanwhile, huge losses by the Japanese nuclear industry are going to land in the lap of the government and the too-big-to-fail banks. Uranium fission was a great idea, but it hasn’t worked out. If nuclear fission is going to be viable in the future, it’s going to require thorium fuel (which is much safer than uranium) and much smaller, cheaper reactor designs. Those technologies are still in the research stage, not ready for immediate use. Meanwhile, solar power is racing ahead much faster than anyone expected, continuing to beat all the forecasts. Our government should continue to fund research into next-generation nuclear power. But what next-generation energy source should we be installing, right now? It’s not even a contest. Solar beats nuclear. I used to be pro-Nuclear Power, too, and even now I still think it's a good power source that's gotten a bad rap because of two appalling accidents. But there's no getting around the fact that it depends heavily on capital investment and government support, and neither of those seems to be particularly forthcoming in any country outside of China. Even the French, who built an admirable system where nuclear supplies the bulk of the country's electricity, have been backing away from (albeit for the wrong reasons - the Greens in France have an ideological anti-nuclear bias like other Green Parties in Europe). That might change, but path dependency matters in power supply. If we switch heavily over to a grid built around solar, wind, tide, and hydro, it will be much harder to muster support for greater use of nuclear power in the future - and unlike coal and gas, we won't have the impetus of an environmentally problematic and finite fuel to goad us into making the change. Sorry, I should qualify by saying that I don't think there's much of a future for nuclear power on Earth. We still want to have small, compact nuclear reactors for space exploration - you need them if you want a good power supply beyond the orbit of Mars without relying on impractically large solar panels. Just look compare Cassini-Hugyens with its reliable plutonium RTG power supply versus the probe Juno, which requires three large solar panels to generate less power when it arrives at Jupiter. Well, technically speaking, solar is a kind of "nuclear outside the Earth"
Fuel costs != uranium costs. Fuel costs mostly fabrication and enrichment. It's a MYTH that U reserves are a constraint on current reactor tech, for centuries, at least. So Uranium is ubiquitous in the Earth but high-grade, thus low carbon Uranium is not. This is more concerning when you consider the fact that it is not always cheaper to mine high-grade ore leading to a situation where capitalist imperatives (which always win in the nuclear industry) do not align with environmental ones. So many flawed arguments . . .
1) safety - I don't get why anyone is still bringing up Chernobyl, it didn't even have containment. Fukushima is kind of a joke argument - you take 40years old power plant, hurl at it very rare giant earthquake, add very rare giant tsunami and as a result you get a few dozens square kilometers inhabitable for very long time . . . not "entire geographical region". Evacuation and current "restricted zones" are just a result of pointless fearmongering, had there been similar regulations to smoking as for radioactivity, you wouldn't be allowed to even live in the same apartment as a regular smoker. There has been no evidence that 50mSv and lower yearly doses lead to any health damage at all, and yet it's still treated by both government and media as some "dangerous radioactivity". When such old plant under such conditions produces such small measurable damage (it's not "someone dies" anymore, it's "someone might at some point in the future have bigger chance of usually deadly disease" now), it's quite clear that nuclear power is extremely safe already . . . one would guess that for most of the world (you know, without crazy earthquakes and tsunamis) nuclear power is too expensive because of pointless safety measures. 2) cost - show me rich country, which produces at least third of electricity from UNSUBSIDIZED wind and solar power sources. Can you do it? Nope. You can say that nuclear power is now unprofitable, but that's because insane subsidies for renewables turned most energy sources unprofitable. Read up on Energiewende's effects on profitability of power plants in Germany. Only huge coal plants can be build, even gas (which is necessary as a backup for renewables) is way too expensive. And I want to see JUST ONE pro-renewable supporter actually realizing and admitting cost of backup power and current inefficiency of energy storage. Because that's where real cost drivers are for solar, not pointless figures how cheaply can China manufacture some panels. Real arguments against nuclear are obsolency risks and potentially insufficient uranium supply. But once again, people are just ignoring already working breeder reactors, which are safe bets against both these problems. So, maybe some pro-nuclear people are hysteric about the issue because of persistent stupidity of anti-nuclear arguments. It seems on the same level as inflation hysteria - people with no knowledge of the problem spout some nonsenses which get ad nauseam repeated by everyone. And then they are presented as "truths", because everybody knows it, right? tl;dr: Fukushima proved how safe nuclear power plants are and you have no idea how expensive solar really is. Do your homework next time. You know, you can argue about how safe nuclear really is for years on end - it doesn't change the fact that you don't have the combination of political support and heavy capital to push it on a large-scale, whereas solar does. That's why I eventually got tired of advocating for it. One could argue that renewable energy subsidies offset fossil fuel externalized costs. Considering that backup for renewables is always fossil, and you can't really show an example of fosil->renewable migration that reduces fossil consumption those subsidies aren't offsetting anything. I agree. Noah has a physics degree, but I bet he has read almost nothing about nuclear power or radiation safety. But solar should be in wide use by 2030 as long as storage significantly improves, which looks likely. Are you certain? Noah has a physics degree? He doesn't act like it. He doesn't have a clue about nuclear power. Tev is correct. Another issue is nuclear plants as possibe terrorism targets. I believe the French have increased guards at their plants since Charlie Hebdo, and back in November 2014 they arrested some people for flying drones around a nuclear plant. Genuine risk or just scaremongering? Either way it means an increased cost (or increased implicit subsidy) for nuclear. That's one of the key benefits of solar - it can be a decentralized power source. This makes it relatively immune to terrorist attacks, as there's no one spot to attack which shuts down power for a large area. Compare and contrast with a big power plant with a set of high-voltage transmission.towers leading from the generation plant to the distribution points. Blow up a few towers, attack a distribution point, and power is down for a large segment of the population. True, we still need to have small-scale energy storage, and many home solar panels shut down if there's a power failure*. However, this should be solvable - and would greatly reduce the grid's complexity. Everything is a terrorism target these days, from power plants (of all types), to military bases and children's schools. And newspapers and marathons as well. The world cannot stop (nor should it) because of a bunch of power mad people as mature as 5 year olds with bombs, desperately seeking attention..
> I’m always a bit puzzled by the anti-solar antipathy of the pro-nuclear crowd. Energy is energy, after all. Perhaps nuclear looks muscular and futuristic – an emblem of national greatness – while solar looks like wimpy hippie stuff. Efficiency and reliability is very muscular and futuristic. Logic and math? Who needs those outdated (also patriarchal and offensive) concepts in the Brave New World of Green Energy? Oh, wait. Photovoltaics are much more toxic than the nuclear power. Why do people call it Green? Maybe it's a good pai... toxic waste? And all those big projects? Somebody is obviously compensating for something. No, nothing to do with increased efficiency from mass-production. That's just an excuse. Anyone who doesn't see Freudian connotation is in denial. Seriously, though. Learn to google or something. This was embarrassing. That muscular (or was it nerdy?) concept that offends people is called EROEI. Energy Return On Energy Invested. The (old cheap) oil rocked because it had huge EROEI (30+). I.e. you got 30+ Joules for each Joule spent finding/extracting/transporting/processing oil. It has huge. It was immense. Solar power (especially photovoltaic crap) has problems getting any decent numbers there. Sometimes it can (or is expected to) perform reasonably well in sunny deserts (solar thermodynamic), but there is a little problem of most people not living in the sunny deserts or anywhere near the sunny deserts. ProTip: energy doesn't travel well. So we will have to let most people become Somalians (figuratively speaking) and let them start killing each other to reduce their numbers to the manageable level or we will have to force most people to become Somalians (literally speaking) by evicting them from their houses and forcibly relocating them to the vicinity of solar plants (does anyone have a spare Glorious Leader?). On the other hand, nuclear power is not expected to have high EROEI (or get it via fudged numbers). It already has it. Provably has it. Had it for decades. And it can keep the engine pumping anywhere. And (just like solar power) is expected to further improve its EROEI in the future (and greatly reduce uranium consumption). It is also safe. Especially compared to the absolutely horrifying abominations like ultra-toxic PV energy. Nuclear power is cheap, safe, reliable and universally available. Solar thermodynamic power is cheap, safe, semi-reliable and not universally available. Solar PV power is expensive, toxic, semi-reliable and not universally available. Wind power is expensive, somewhat safe, unreliable and not universally available. So yeah. With the exception of those huge solar TD power plants (in sunny places), Green Energy is a hippie BS. Or, to be more precise, its a good way to launder money. Surprisingly enough, when you don't launder money, Green Energy doesn't perform as good as one expects it to. "Sometimes it can (or is expected to) perform reasonably well in sunny deserts (solar thermodynamic), but there is a little problem of most people not living in the sunny deserts or anywhere near the sunny deserts. ProTip: energy doesn't travel well." If PV is toxic, so is you computer, smart phone, television, and and appliance that uses solid state electronics. Silicon is one of the most abundant elements in Earth's crust. The toxicity argument is simply wrong. Nuclear fuel and nuclear waste is toxic from both the ionizing radiation and heavy metal standpoints. The most toxic electrical power source is coal fired plants. The emit sulfur, nitorogen oxides, and trace metals, the worst of which is mercury. The annual death toll from coal is in the 10's if not 100's of thousands per year. The cost to public health cost is huge. The latter are the unaccounted price we pay for coal-fired power generation. It is also fair to say that more lives have been saved by coal than have been lost. On the other hand, distributed (local generation) PV has the potential to save lives by the same mechanisms as centralized coal without the huge damage to public health. In the end, society will choose that which positively impacts their lives without the toxic consequences. If energy doesn't travel well, isn't that an argument FOR home solar rather than centralized power plants of whatever type? Admittedly, "clean solar" has some echoes of the "clean" electronics industry hype we heard about Silicon Valley before all the chemical waste streams began getting noticed. However, there's lots of waste in the power grid - and will be until someone invents a room temperature superconductor and replaces all the copper wires in the high-voltage transmission towers. As to nuclear not getting subsidized - guess again. Nuclear is heavily subsidized, from government-provided liability caps to construction subsidies and waste-storage subsidies. The laws of Thermodynamics make large steam generators more efficient than small steam generators. This means that for systems using a heat source to boil water for steam to drive turbines, bigger is more efficient. It doesn't really matter what you're using for the heat source: wood, coal, natural gas, nuclear, or mirror-based solar - if you're using a Carnot cycle engine to generate electricity, bigger is more efficient. However, photovoltaic (PV) systems don't run on Carnot cycle - they convert solar energy directly into energy. This means a decentralized system can be more efficient than a centralized PV system - no transmission losses, fewer distribution concerns, less need for a nationwide grid. It doesn't help that your distribution is efficient, when your power source (PV) is grossly inefficient in the first place. Not to mention unreliable. And yeah, nuclear externalities are subsidized. Guess what, solar externalities are subsidized too - damage from increased and less predictable loads to power grid isn't paid by solar adventurers. Nuclear power is not universally available. If you disagree, try and build a nuclear power plant in Iran... Or, heck, since you named it, Somalia. Yes, theoretically, you can ship out nuclear fuel to anywhere you want, but nuclear power thus far is connected intimately with nuclear weapons. Thus a world where we trust everyone to have nuclear power is a world where we trust everything to have nuclear bombs, which is not going to happen anytime soon. Solar power might not be universally available, but it just happens to be available *exactly* where we anticipate major increases in power needs - that is to say, the developing countries of the world, which almost invariably reside in sunny parts of the world. US, China, India, Brazil all have excellent solar energy potentials. Only north Russia really has a problem. Tev, peak demand for electricity is during the day in most countries. What happens is that when home owners set up solar panels it starts to flatten out that demand peak. It isn't wishful thinking, that peak has already flattened out in many Australian cities. The result of flattening out the curve is less strain on the power grid, freeing up capacity for other types of energy. Though the need for more power plants diminish because of the flattening of the demand peak. The argument about renewable's strain on the power grid is in any case misleading. Every now and then a nuclear power generator suddenly shuts down for safety reasons. That's a major, unpredictable event that grids are nevertheless dimensioned to handle. The swings in solar energy production by contrast are predictable and more easily managed for grid operators. 2) renewable strain on grid is real, you can't just handwave it away. We (czechia) were near blackout once because of German wind power transfers. (sorry sources in czech, will try to find some english ones) And those unpredictable nuclear shutdowns should be rare, what about some links to some summaries to their frequency? I cant imagine nuclear being turned off and on again several times A DAY. Fangz: yeah good point about developing countries often being in convenient places for solar power. I agree nuclear shouldn't be (clear) winner there. Human civilization has moved, not really beyond, but away from nuclear technology. It's still popular in more autocratic or government-controlled economies in eastern Europe, and, to a lesser degree, in France and Japan. But the retreat of the state since 1980 has hurt nuclear power. Solar power is the more marketable alternative, while nuclear power needs the state for security and the treatment of nuclear waste. If, glod forbid, France has a Chernobyl/ Fukushima incident it is "game over". France has, so far, been successful in running its reactors. I hope that continues until a better source of power comes on line. Any system that produces Plutonium as a biproduct is a danger to civilization. My 2 cents. I fear we will see, sooner or later, other Fukushima happening at Japan. The same kind of reactors they had at Fukushima are operating all over Japan, and near Osaka and Tokyo. That japanese reactors, like Chernobyl, don't have a contention cupule and if some serious accident happens the radiation will spread for the atmosphere. So, the next nuclear accident that will happen at Japan (and sooner or later it will happen again) will be game over for nuclear power. Japanese reactors DO have conrainment, that's why - in contrast with Chernobyl - nobody died there from radiation exposure. And quite likely nobody will have cancer because of it. Generally agree with you, but a few points. 1. This is pretty minor, but our biggest importer of oil is a rather savory trading partner. 2. While technological advances and economies of scale have helped solar become so cheap, a large reason that they are cheap is due to the heavy Chinese subsidies, which have helped push out the supply curve. If you were to do a good comparison of solar vs. nuclear, you'd have to control for subsidies. I suspect solar would still come out on top, but still. 3. I'm surprised that you didn't mention the costs of storing nuclear waste as one of the downsides of nuclear. It's expensive and has a tendency to leak into drinking water, despite our best efforts. Plus, if you ask people if they would rather have a windfarm or a nuclear waste storage facility in their backyard, I bet most of them would become crunchy real quick. 4. While rooftop don't produce nearly enough energy to keep things running 24/7, they do limit energy loss from electricity transmission. Plus, if we ever get microgrids (NYC is looking into them as a way of keeping hospitals and community centers running when large Sandy-like storms hit the city), they can help supplement energy needs. According to the institute for energy research, hydroelectric is subsidized - just like all of the other sources out there - but at a much lower rate of 67 cents per megawatt, vs. $24.24 for solar and $1.59 for nuclear. You are correct about Hyrdo's current share of energy production. However, at least in the west, most good candidatures for large scale hydro have already been tapped and the environmental and social costs of new hydro are pretty large. That is why it is rarely discussed as being an energy production form that could grow much. The problem with solar's distributed nature is that it does not matter. You still have to have all the transmission in place since you cannot rely on solar exclusively. Right now, it seems like a negligible cost for solar since it simply free rides on existing infrastructure, but it is a huge cost. I live in New Jersey, not the most sunny place in the country. My solar panels were installed and activated in Feburary 2014, and except for Feburary and March, they have produced more power than my house has consumed every month except December. It helps that I replaced every incandescent bulb with LED/CFL lighting, and that I have relatively new kitchen appliances (and that last summer wasn't terribly hot) but I have found that solar is working pretty well for me. And consider that there is still a lot of room on top of my roof for additional panels if I needed them. The exception of Feb/March is quite enough to make the transmission system necessary with all the attendant costs. All the surplus you are producing will not help you then, since you can't store it. My list of what nuclear power needs has been fairly constant over the last twenty years. It needs to come in smaller doses, 1.2 gigawatts is too much for most grids to efficiently add. 100-300 megawatts would be better. In needs to be inherently safe. A loss of systems should not result in a meltdown. Ideally it should be set up where the waste heat could be used, but this may not be acceptable. Perhaps it could provide greenhouse heat for produce and flowers. It should be self storing at the end of its life. Perhaps in place, or disassemble and taken to a desert, or put in a concrete bunker. The waste heat from a no longer used system could find a use in place, or at another place. This is why Noah mentioned thorium reactors. I am not going to join the bandwagon dumping hard on solar, and I agree with Noah that costs of solar coming down faster than are costs of nuclear. That said, two points not yet made. As it is, proven reserves for most resources have been rising over time, not declining. This was a key to how the Limits to Growth crowd so badly embarrassed themselves back in the 70s (well, the embarrassment arrived in the 80s). They looked at proven reserves for things like tin and said, "Wow! At current rates of consumption we will run out of tin by 2000! (or whenever)." Did not happen, and those proven reserves are larger than ever. 2) The real alternative for nuclear, besides breeders, is thorium reactors, curiously being investigated by the Indians. They are safe, their products cannot be made into nuclear weapons, and we have lots of thorium here in the US (as does India, one of the reasons for their interest). Indeed, it was at Oak Ridge in the 50s that the world's first thorium reactor was built. Ironically, why the US government turned against thorium in favor of uranium was precisely that one could make nuclear weapons from the products of the uranium reactors but not from the products of the thorium ones. What now looks like a virtue of thorium is what did it in back when the decision was being made regarding which path to take. At this point in the US, it is very hard to revive that path, so Noah may be right about the longer term outcome, although, of course, the big gainer in the near term is natural gas. The reason the military abandoned thorium is because the products (primarily U-233) cannot be made into *stockpilable* nuclear weapons. The military doesn't want weapons that have to be scrapped and rebuilt frequently, they want weapons that can sit in silos or warehouses for twenty years. That doesn't mean you can't build a working nuke from U-233. In fact, it's very easy as you can use the simple Hiroshima-style design (unlike plutonium, which requires the more difficult implosion design). It just has to be used fairly quickly. And if you're a terrorist, that's probably exactly what you want. The widespread use of thorium would be a proliferation nightmare. Not really all that easy, Redwood, although possible under certain circumstances. However, apparently it is possible to denature U-233 so that it cannot be weaponized, although if gotten to before that, it can be. Apparently India had been hoping to get their first thorium reactor running last year, but it is not yet up. Currently planned to be up sometime this year. BTW, it is accurate to say that in a sense thorium reactors somewhat resemble breeder reactors, with artificially generated forms of uranium involved in how they work. In any case, I maintain, as do others, that the US made a major mistake in abandoning research on this technology, which was clearly abandoned because it was not as easily used to produce nuclear weapons than the fission U tech we are stuck with now. Someone on a different forum made this analogy: Worrying about thorium reactors without safe guards is like worrying about planes crashing because someone designed a plane without landing gear. Redwood's argument is dependent on the false assumption that terrorists could steal fissile material from a working reactor and not be detected. This scenario is only plausible in the world of some silly cloak and dagger fantasy like the Bond films . And because no one would design a liquid salt thorium reactor where the gamma emitters could be removed, the terrorists would have to somehow stuff their ill-gotten U-233 and the lead safe to shield it in their trousers, not if they want to 1). not set off gamma detectors and 2). live long enough to make a bomb in the first place. And of course there are the wonderful fusion reactors that we've been developing for a lot of years now. Wonder when the first Tokamak reactor comes on line? Heh, good question. The cruel joke is that even if we somehow figure out how to do net-positive nuclear fusion on a worthwhile scale that also happens to be cost-effective . . . it'll probably be around 2040-2050 before it hits commercial production, and we'll have switched most of the grid over to alternative sources anyways in many countries. Maybe some of the countries still leaning on coal will use it. Fusion power (note: just a heat source for boiling water) is more of a fraud than an option: No one has made a credible case for low cost. I challenge advocates to find a case for getting low-cost heat from Tokamak reactors that doesn’t call for a cost-reduction miracle. Brett, most countries still use coal now, and not merely a little of it. China is ~ 90% dependent on coal. The U.S, Germany and UK use a lot of coal. If nuclear fusion that was cost-effective became commercially available by 2040-2050, that would be great. I doubt that most of the grid would've switched over to "alternative sources" by then. Nevertheless, I don't think we have the luxury of time or hoping for economical nuclear fusion given that we have nuclear fission with uranium, now, for generating electricity. Electricity quality is already degrading in the UK due to politically-motivated, subsidy-driven fascination with alternative energy. France is the most sensible country in western Europe, as they do not want coal mining in Provence etc. and are committed to maintaining their nuclear power plants. Forecasting the future of nuclear power is probably very hard. There are two reasons for continued investment in nuclear power that I haven't seen discussed here. But I do see them in energy company annual reports and industry trade magazines. Power company executives recognize that almost all sources of energy have cost structures that vary radically over time. Solar subsidies could end, nuclear regulation could increase, oil prices could rise, etc. Right now natural gas prices are low, and this indirectly lowers the transaction costs of using solar and wind. (Gas plants can turn on and off cheaply, allowing utilities to react to unpredictable changes in solar or wind production.) But few believe natural gas prices will stay low forever. Traditionally gas was much more expensive than nuclear and coal. And its not difficult to imagine a world where gas prices increased again. For example, what if fracking becomes illegal in more places? For this reason, utilities often build power plants even if they're not the least expensive source of power right now. 5-10 years from now, the costs could be very different, and the utility needs the ability to alter its mix of energy sources to react. Nuclear and coal (and hydro-electric) are the three traditional sources of 'base-load' (which means cheap and always turned on) power. In places were hydro is impossible, energy companies will very likely maintain a portfolio of coal and/or nuclear. Framed in this way, the nuclear option doesn't appear so bad. One of the barriers to the adoption of solar and wind more widely, is that we currently don't have the ability to store large amounts of energy. Many projections about the growth of solar assume that we will solve this problem. I'm skeptical (and as a practicing engineer, I have experience to back my skepticism), but lets assume they succeed and solar becomes a viable source of energy all the time, and not just during the daytime. This doesn't mean that solar will win in the marketplace, because more traditional sources of energy would benefit from this development as well. Nuclear costs fall with scale. In fact, most plants in the US were designed to be binary or quad plants. That is, they were supposed to have 4 reactors on the same site, rather than only one. (Because of the schedule of refueling outages, 3-4 plants on one site could create huge economies of scale.) In practice, the second reactor was never needed because 'base-load' demand in a region could be met by one nuclear plant and one coal plant. If nuclear plant energy could be stored for later use, then nuclear could provide more than just base-load power. It could compete directly with the flexibility of natural gas. So if science solves the energy storage problem, it won't just benefit solar. It could benefit nuclear as well. Let me sum up by saying this differently. Currently solar and nuclear don't compete directly with one another. Solar is unreliable, but extremely flexible. Nuclear is reliable, but slow to react to changes in demand. Utilities need BOTH reliability and flexibility, so they build a mix plants from both categories. That isn't likely to change until we invent better energy storage. And even then, its not clear that solar and wind will win in the marketplace. This is great point - nuclear will benefit from efficient enery storage the same way renewables will. I partially agree with the comment by Carl C. above. He is correct about the need for a mechanism for storing large amounts of energy cheaply and easily. But I think he is wrong to say that solar and nuclear don't compete directly. They do, because nuclear is a baseload supply, running 24/7 all the time except for short pauses for maintenance. Solar (and wind) generates when the sun shines (or the wind blows) so it has to be used right then as we cannot store it easily. As you add solar (and wind) to an existing system, the amount of baseload you need falls while the amount of load following generators increases. And while you will be running your peaker generators less often, you will need the same number. I also believe that until/unless we find a solution for storing large amounts of electricity the current drive towards solar (and wind) will come to a halt. So cross your fingers, I hope someone finds an answer before we discover that solar (and wind) is a dead end. Another way to store electrical energy is as heat. One more thing. If nuclear power is so safe, why do nuclear power corporations demand absolute immunity from liability suits? Environmental pollution of reservation lands? Nuclear industry is a religion much like conservative politics. What would seen Gibraltar evidence against becomes a conspiracy theory that really supports what true believers know to be true. Too cheap to meter became giant fiscal sinkholes for utilities despite huge state and federal subsidies. You know, renewable supporters seem to be pretty religious too. So far I only see the failure of Energiewende. Renewable religion is still preaching it even though it just cost a lot of money, and spurred building of new coal plants. No co2 reduction, just a lot more unstable power grid. No, I wouldn't live next to "majestic" windmill next door, ever. 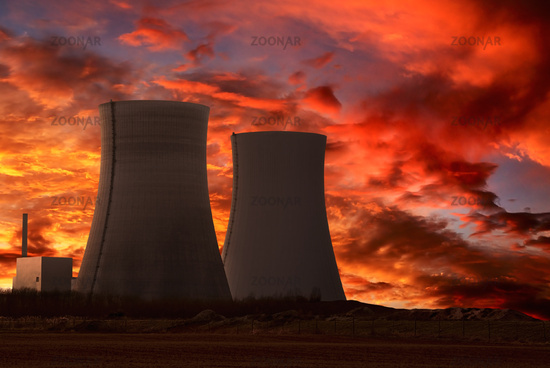 I wouldn't mind living close to nuclear reactor, in most countries using nuclear power. I work for a large European utility active in many areas including nuclear and solar. We have basically reached the same conclusion as Noah. New photovoltaics reported at 40% efficiency, and materials science will make them even better. Technology can be directed in any way we want it to go, and we are just at the beginning. Nuclear may be good for interplanetary flight. On planet surface, attainable fusion would change the game plan, again. In any case, climate change extremities pose enormous dangers sooner than we might think -- research on crop productivity responses to sudden heat spikes, (i.e. spikes in excess of overall trend), are not encouraging. Maybe countries should go back to storing food reserves for bad years? I have looked at those 40% photovoltaic. When we can mass produce 35-40% efficient photovoltaics that stand up to rain, snow, salt, wind, dust, and debris (and also satisfy the rooftop fire code), then solar will actually have achieved grid parity. Because: the hurdle is no longer the cost of panels themselves, it's installation costs ("balance of system"). Smaller, more efficient panels like this vastly reduce installation (smaller area!). You have a good point about the need for nuclear because of interplanetary colonization. Solar will beat even nuclear fission for interplanetary flights (at least within the inner solar system). MIT developed an ultrathin solar panel just a few atoms thick. It contains a layer of graphene so energy conductivity is built in. Conversion efficiency is 1-1.5% but because the material is so extremely light it approaches the energy potential of an equal weight of commercial grade uranium. And that's before you build the reactor! As an additional bonus there is no atmosphere in space to absorb sunlight so more photons hit solar panels. One of the chief objections to visions of VASIMR drives providing 0.1 g acceleration is that the reactors would weigh so much it would be impossible for fission reactors to achieve such acceleration. But with this kind of "solar sail" we are looking at even faster acceleration than 0.1 g. That would be great since our sense of balance goes out of whack around 0.15 gravity, so at least 0.2 g would be nice. And to bring it back to Noah's musings on power generation... perhaps the nuclear fans can be enticed to instead embrace the gee-whizz technology of orbital power plants beaming down energy to earth? Beamed power orbit to surface is as realistic as fusion reactors fitting in the trunk of your car. According to the Bloomberg article, if I am reading it right, solar will achieve grid parity in Maryland in 2016 (assuming low tax credits and a 20-year lifespan). Since I live in MD, and check it periodically, I know this is completely wrong. Standard solar panels could be completely free and solar still would not be cheaper for the average person because of installation costs. Now, if you happen to have 150 acres of farmland and value the land as worthless, maybe. But if you have 150 acres of farmland and value the land based on the value as-developed into residential plots, no way. I strongly disagree that "Uranium fission is a mature technology." Technically true for "uranium," there are some nuclear technologies out there that will reduce the safety risk and extract more energy from the material. They are somewhat experimental and we need to build one. The reality is that right now the radioactive waste at most sites is being stored on-site and is an accident waiting to happen. About 100 nuclear reactors will need to be replaced in the next 20 years as they are mostly beyond their life. Solar is just not going to replace the base-load power from these reactors. Which leaves coal, or natural gas. Or, we could figure out a way to consume the existing on-site radioactive waste and generate power (which we have the technology to do). We need to demolish existing facilities, and rebuild new plants on those sites. This is an excellent candidate for expedited regulatory review, after all we are mitigating an existing risk. Time is money, so this would lower the cost of new build. The real question is whether we have the courage to allow it, or whether we continue to believe the polyanna predictions of solar being cost effective in 2010, wait no 2012, no 2014, no 2016 ... always just beyond the horizon! If it's reasonable to value land based on the value as developed into residential plots, why the heck do we have any farmland at all? Sun is a giant and stable nuclear fusion reactor. Fission reactors can last for a long time if operated safely and if allowed to breed fuel, e.g. plutonium. Thorium cycle is interesting but progress is slow. For coming 20~50 years or so, it is NG augmented by renewable such as solar, wind, geothermal and also improving power use efficiency of equipments, appliances and vehicles. Nuclear - even the nextgen projects may be doomed even today due to costs. It is of course incredibly difficult to calculate true cost of nuclear energy especially given massive upfront costs, costs of storing waste and also costs of decommissioning of the old plant. But all indicators show that adding it all up togehter may may reult in the most expensive energy source out there. This whole discussion is greatly confused. Nuclear and solar do not compete in the supply structure of electricity right now. More importantly, solar (and wind) is much more expensive than production costs suggest. That is due to the intermittent nature of the energy source. Consequently its a major consumer of balancing services in the network. Right now, it simply free rides on the existing structure. That's why RFe in Germany decided to get out of thermal generation since renewables receive massive subsidies directly and receive major transfers from thermal generation through negative balancing. Any system in the future that relies to a large degree on renewables would require a significant thermal backup just for balancing. This alone makes solar wind uneconomical no matter what production costs are. Largely agree with you, but one non-economic reason for maintaining a nuclear power industry is the ability to produce nuclear weapons. The hardest part of obtaining nuclear weapons is enriching uranium. A nation with nuclear power expertise can weaponise its uranium fairly quickly if necessary. This is why the US and Israel are trying to prevent Iran from obtaining this ability. The Iranians claim their nuclear program is for peaceful electricity generation, but the once they achieve that, the next step is relatively easy. One other issue with Nuclear (and I suppose other heat generating technologoes) is access to cooling water. In 2006 European nuclear plants had to shut down because the temperature of the water in the rivers they used as coolant had reached a level where further heating (by the plant) would cause environmental damage. Sorry Noah, bit you're daftly naive about the advantages of solar, which is not nearly as economic as you think. You're simply way out of your league, making grand claims about a technology based on the uninformed claims of activists and naive journalists, obviously without knowing anything about the economics of the industry at all. First, solar is not a renewable resource. Panels have a lifespan of about twenty years. Most will give back as much power as was put into producing, distributing and installing them. They're made from quartzite and other raw materials which are plentiful but have to be dug from the ground, usually in big surface mines. Then those materials are cooked and manufactured into cells and panels, which is a dirty and energy-intensive process. That's right, solar *increases* carbon emissions in most areas. Only in ideal conditions, with reliable strong sun and either localized installation or a high-efficiency grid, does solar actually reduce carbon emissions. There are three reasons solar prices fell, and only one of them is good: some cost-saving technologies and economies of scale have been introduced. Another reason is that production was moved to Asia where cell manufacture is being powered with cheap lignite coal. Another reason is that heavy subsidies led to heavy investment in Asia followed by subsidy exhaustion, which created a glut. People who write that solar is nearly equal in cost to fossil fuel power don't know what they're talking about. Solar power isn't cost-competitive even in Asia, where gas is two to three times more expensive than in the US. There are precisely zero truly commercial solar power plants operating anywhere in the world. All solar power plants depend on subsidies, usually in the form of a politically decided price at which they sell to the grid that’s far above commercial value. It's crucial to understand that power has both a volume value and a time value. The most valuable power is called peaking power, which can be produced and delivered on demand. This kind of power can only be produced by fossil fuels or storage systems. The next most valuable is base power, which is a stable, predictable volume of power. This is what nuclear and hydro (with caveats) produce, or lacking those some kind of fossil fuel, usually coal. The least valuable is intermittent power, because it requires the grid to buy more peaking power to fill in around the gaps, and because power produced in excess of current demand must be stored, which is expensive and lossy, or simply thrown away. But you're correct about all the problems of nuclear, which are worse than you think especially for the long run. They only last about sixty years, and then will become radioactive hulks that must be fenced off and their most radioactive parts encased for thousands of years. Arguably in the US we have enough space to do that indefinitely, but in Japan and France, it will become increasingly problematic over a long period of time of nuclear dependence. Second, if nuclear power is used indefinitely, it’s just a matter of time till someday a 9+ earthquake hits right under a big reactor and blows it up like a megaton bomb. The reality is that the human race has yes to invent a power-generation technology that can viably substitute for fossil fuels. Photovoltaic solar just isn’t anywhere near efficient enough, and there’s no guarantee that further research will make it so. We’ve been researching it intensively for decades already. We should continue researching all reasonably viable avenues. And we should research conservation and efficiency, and prepare for the possibility that as fossil fuel supplies dwindle we might just have to use less power. Sorry, I meant to write that most solar panels will *never* give back as much power as was put into producing, distributing and installing them. I hate to be a pessimist about solar, because I want us to achieve a cost-effective, clean source of energy forever just like the next guy. My pessimism lies in the reality that the earth could easily undergo a climatic change that renders much of the future solar grid useless for a period of years or even a decade. If one asteroid strike or a major volcanic episode is enough to cause a decade-long blackout, humans are going to be in very deep trouble. Granted that all of our food is grown from solar power, there are other problems with a climatic event such as I mention. However, if we're going to find a way to live on Mars, we're also going to have the technology available to continue life on earth even in the face of such a climatic event. I think that nuclear fusion is an important technology to continue researching and refining, just to ensure the best possible chances of survival given the risks of this universe. To run with some numbers, maybe we can cover 1% of the UK with extremely expensive 50% efficient panels. That would cover a -fraction- of our energy needs at huge costs (50% efficient panels are not cheap!). But I don't think that's a realistic thing to expect within the next fifty years, and it's certainly not a full solution even if it were. Have you ever contemplated upon the fact that the sun is the biggest nuclear reactor there is in the vicinity of mankind? Because at best solar can only deliver 50% of the time. That means that while the per unit price has come down significantly, when you add in the cost of fossil or nuclear to load follow or fill the gap when the sun isn't shining, solar loses its edge. Batteries are at least a generation away in technology and may never be cost effective. Other storage options like pumped hydro or compressed gas are expensive and require significant real estate. Solar is great in some locations but large scale solar is not a replacement for powering an electrical grid. If we are serious about getting off fossil we would be well advised to use solar and wind where applicable and invest heavily in nuclear. It's the only green source that can meet demand on a large scale. According to the IEA, the most cost effective load following technology is nuclear. Further, recent analyses from both the IEA’s Deep Decarbonization Pathways Project (DDPP) and the Brookings Institute find that high-renewables scenarios will cost up to four times as much as high-nuclear scenarios, while a new paper published in Applied Energy (Hong et al 2015) found that a nuclear-free pathway would cost 50 percent more and require fifteen times more land area.